I'm not normally an advocate for more wet weather in Glasgow, but for this production of Singin' In The Rain I'll make an exception. It's 1927 in Hollywood, silent pictures are the in thing and Lockwood and Lamont are the stars of the show. Vicky Binns gave a comical portrayal of movie star Lina Lamont, who is struggling to come to terms with the fact that although she has the face for Hollywood, she doesn't have the voice to match. James Leece led the show playing protagonist Don Lockwood with a charismatic and vivacious performance which ensured the audience’s high spirits continued throughout. The star of the night was Stephane Anelli playing Lockwood’s right hand man Cosmo Brown. His delivery was packed with gusto, especially during energetic dance number 'Make ‘em Laugh' - where he did just that! Fast paced choreography and explosions of colour make each scene more impressive than the last, but of course the show’s unique selling point is the 12,000 litres of water used in each performance- which did not disappoint. The final numbers in both acts left the audience amazed and hungry for more! 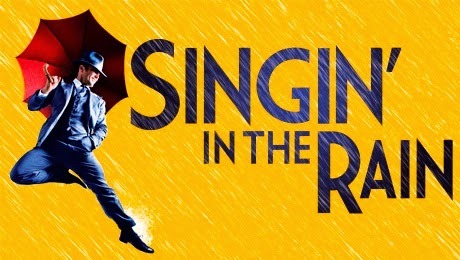 Singin' In The Rain is a timeless story and one that is sure to enthrall audiences for years to come.